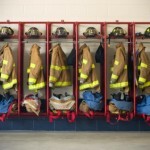 It is 9:00a.m on Friday April 27, 2012 and the present status of fire service in the county significantly below what would be demanded from the citizens. There is a real and measurable potential for lives to be in danger in the event of a fire, car collision, Haz-Mat incident, tractor accident as the County fire Department had the majority of its members resign overnight. A link to the story in the Carlisle Courier can be found here. To its credit, the City of Carlisle Fire Department has agreed to provide coverage. That will serve as a Band-Aid on this possible deadly wound. In small-town America most “city” departments can handle the initial knockdown of a structure fire but they are not equipped to haul the thousands of gallons of water needed to fully extinguish a house fire in the country. City Departments train with hydrants, county departments train with collapsible pools and tanker trucks. For the last 90 days there has been a political battle in Nicholas County over the leadership of the fire department. Allegations of impropriety have been levied by and against both members of the fire board and line serving firefighters. That argument has grown and grown to the point where firefighters with decades of experience have resigned and there is, for the first time since the 1960’s some doubt about who will come when a Nicholas Countian Calls 911. This tension has also caused members of the Fire board to resign from their posts. Right now the answer to the problems needs to come from Nicholas County and her leaders. Fire and Rescue are services that people pay for and depend on to protect their lives and property is compromised. The potential for a news story like the one in Lexington where response times to a house fire were almost 10 minutes due to “Browned Out” engine companies is a very real possibility. However, the folks in Lexington don’t have the challenges driving a fire engine on Hick Hardy Road, Calcutta Road, Gravel Road or any of the dozen other one-lane roads that knit the county together. NOW! Political and personal differences are not a great defense when explaining to a family why their home is now a pile of ash—Or Worse. This Gear Need to Have Firefighters to fill It!